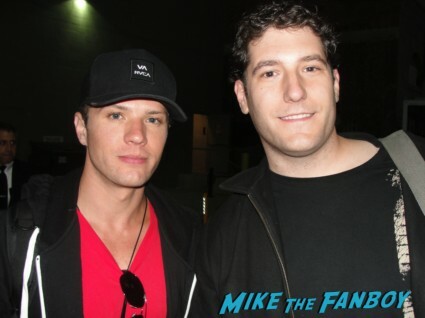 Home / The Road To Comic Con • Throwback Thursday / Throwback Thurs! 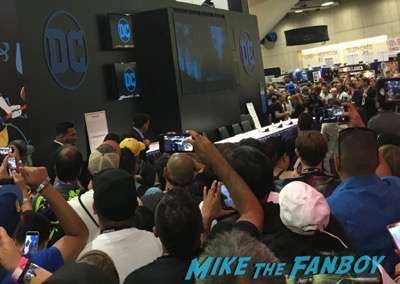 Wonder Woman Cast Signing At Comic Con! Gal Gadot! Chris Pine! Connie Neilsen! 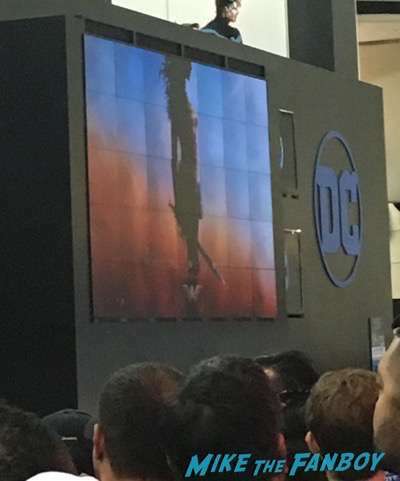 Patty Jenkins! And More! 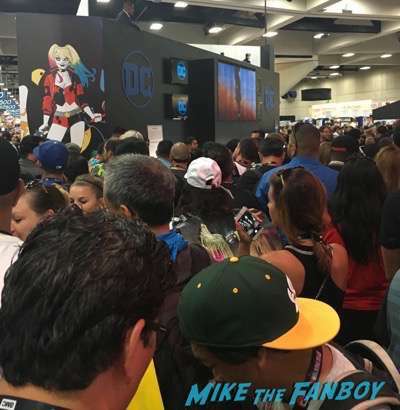 With so much SDCC news popping up, I thought it would be fun to look at some of the cooler signings from the past few years. Times are changing drastically, but this was certainly a great signing to get into! 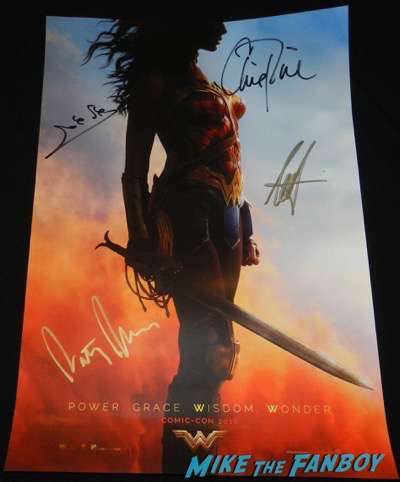 One of the coolest things I was able to do at Comic Con was the Wonder Woman signing. First off, the movie looks awesome. Seriously awesome. 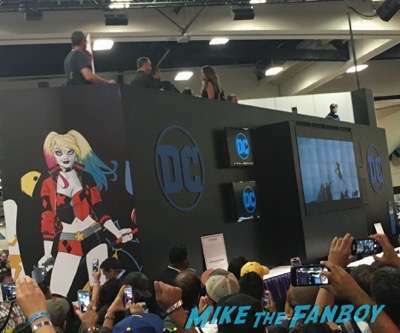 The DC Booth did such a great job this year! 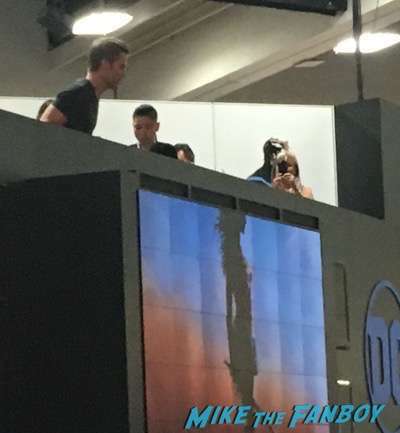 The signing included Chris Pine, director Patty Jenkins, Connie Nielsen, and Gal Gadot. It was a mob scene, and as you can tell from the quick pics people were everywhere. I think there were only 60 wristbands given out. The cast was introduced and we were told that if we tried to take any pics we would be pulled from the line and our wristbands would be removed. So… Needless to say I didn’t get any pics in line. It was a fast signing but everyone was very nice at the same time. 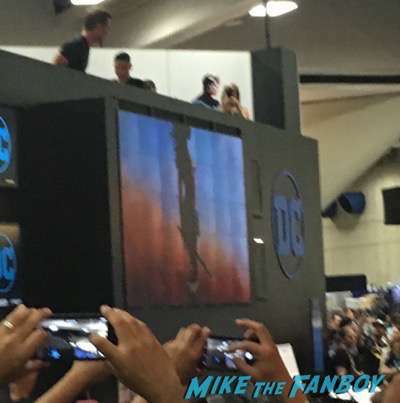 Connie Nielsen made sure to greet everyone, I talked to Chris Pine about Star Trek for a hot second, Gal Gadot I think smiled and signed and director Patty Jenkins was happy to hear how excited I was for the film. Boom, sixty people through the line in 15 minutes. That’s a signing kids. The World’s End Movie Premiere At Comic Con! 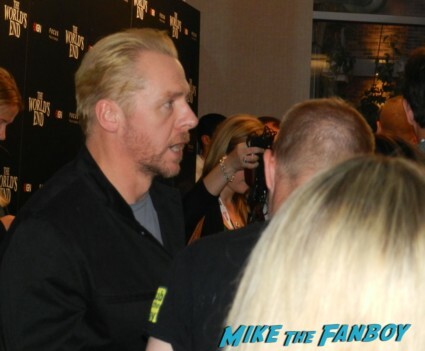 Simon Pegg! Nick Frost! And More Autograph Madness! Shaun Of The Dead Cricket Bat Goodness!